Manchester is the UK’s first Age Friendly City, working towards making the city a great place for older people to live at a time when the population is ageing. This includes supporting people living with dementia and many of those who care for them. There are also two Dementia Friendly Community Projects being delivered in the city, in Hulme and North Manchester which the Dementia Friendly Swimming project links in to. Manchester joined the Dementia Friendly Swimming Project at the beginning of 2015 as one of the pilot cities of the project and the Dementia Friendly Swimming Project steering group for Manchester was awarded the Spirit of Manchester ‘Best Partnership Initiative’ award in the autumn. 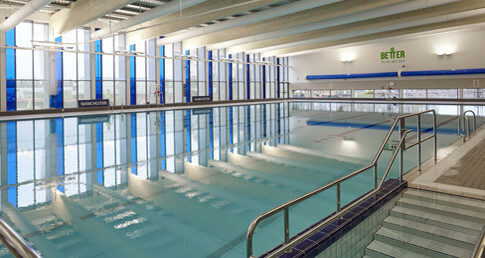 The aim is to create a network of dementia friendly pools across the city, providing people living with dementia and their carers and families the opportunity to go swimming in a safe and supportive environment. This will help people living with dementia live well with the condition and stay engaged with their local communities across the city. Councillor Rosa Battle, Manchester City Council Executive Member for Culture and Leisure, said: “The swimming sessions are one way we can help improve quality of life for people living with dementia and I am proud that by working alongside the ASA we have been one of the first cities in the country to provide dementia friendly swimming sessions. “The sessions have proved popular and though it may seem trivial to you or me offering these types of supported activities can make a very real difference to someone’s life. All sessions are free for people over 60 years old or attending as a carer, otherwise a £1 charge applies. New sessions coming soon at Moss Side Leisure Centre and the Manchester Aquatics Centre. You can also find out general swimming information for the area on the Better UK website.